American Thinker, June 22, 2017- Less than a week after the U.S. Senate adopted sweeping new sanctions targeting Iran’s Revolutionary Guards (IRGC) and two days after Tehran launched a series of missiles at territories inside Syria while claiming to target ISIS, the Iranian opposition National Council of Resistance of Iran ( NCRI ) held a press conference in Washington on Tuesday, June 20, unveiling new information about dozens of IRGC missile sites. On the orders of Iranian Supreme Leader Ali Khamenei, the IRGC has accelerated its ballistic missile activities and tests following the Iran nuclear deal, representatives of the NCRI U.S. Office said. Sources associated with the People's Mojahedin Organization of Iran (PMOI/MEK), the main NCRI coalition member, and inside Iran’s Defense Ministry and IRGC, confirmed Khamenei has specifically tasked the IRGC Aerospace Force to carry out this initiative. The locations of 42 sites were verified by the Iranian opposition, all being affiliated to the IRGC’s production, testing, and launching of missiles. “A dozen of these sites were revealed for the very first time. Among the 42 sites, 15 are part of the regime’s missile manufacturing network,” said NCRI U.S. Office Deputy Director Alireza Jafarzadeh in the press conference. “These 15 centers include several factories related to a missile industry group and together form a web of dozens of missile production facilities,” he added. 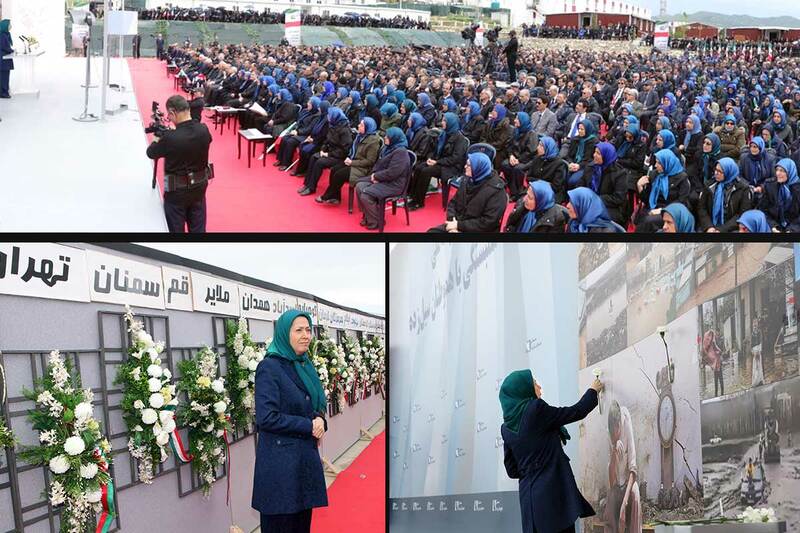 The PMOI/MEK sources were able to provide intelligence on four very important missile sites located in the cities of Semnan in the east of Tehran, Lar in south-central Iran, Khorramabad in western Iran and near the city of Karaj, west of Tehran. Iran has only recognized two of these sites as ballistic missile facilities. These IRGC missile sites have been constructed based on blueprints provided by North Korea and experts from Pyongyang have been on the scene throughout the process, according to PMOI/MEK sources. 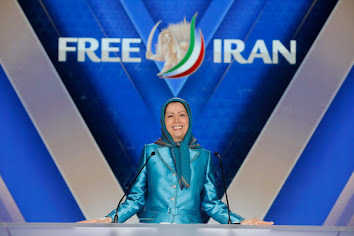 During the past two decades, the Iranian opposition has provided the international community with accurate reports of Iran’s clandestine nuclear and ballistic missile activities. The recent revelations made in Washington make the sanctions proposed by the Senate all the more necessary to adopt a firm policy against Tehran. Iranian officials are in consensus on the need for nuclear weapons and ballistic missiles capable of delivering a nuclear payload, all in order to maintain their grip on power. Iranian President Hassan Rouhani underscored in late May how the regime’s missile activities will go forward unabated. Tehran is known as the central banker of international terrorism. Iran’s meddling in neighboring countries and support for terrorist proxy groups in Syria, Iraq, and Yemen has already plunged the region into an inferno. “The primary reason for launching these missiles was in no way ISIS,” Jafarzadeh said. U.S. officials, alongside their Arab counterparts in the recent Riyadh conference, underscored strong positions against Tehran and it meddling across the region. Targeting ISIS and claiming these attacks were in response to the June 7th terrorist attacks in Tehran are only pretexts for the mullahs’ hollow threats. Prior to Iran’s measures having any military weight, these actions are aimed at elevating morale amongst ranks and files, especially the IRGC. These elements are currently terrified as the U.S. has become active in Syria, intensified its sanctions against Tehran, and America’s top diplomat emphasizing a policy of supporting regime change during their evaluation of a comprehensive Iran policy. It has become a known fact that Tehran lacks the capacity and will to halt is ballistic missile policy. “There is no difference between a change in behavior and regime change,” Khamenei stressed on May 10th. In contrast to the ruling mullahs in Tehran, the Iranian people welcome change and deploy the regime’s nuclear and missile programs, and abhor their meddling across the region. Imposing sweeping sanctions targeting Iran’s missile program and blacklisting the IRGC for its role in directing Iran’s support of terrorism.